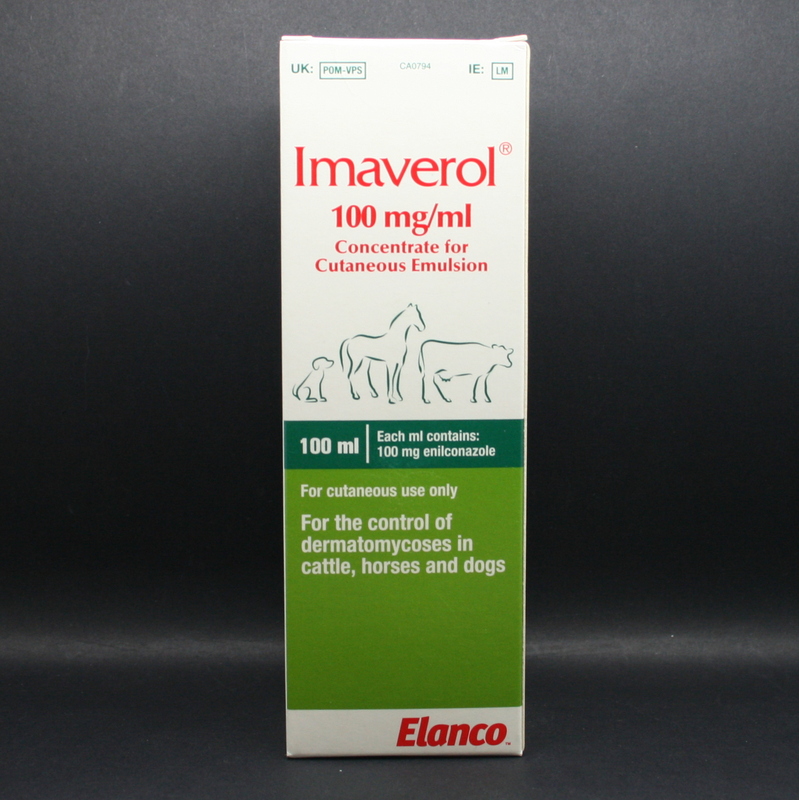 Imaverol is a topical antifungal treatment for use in horses & dogs affected by dermatomycoses or ringworm. It is applied topically after dilution. 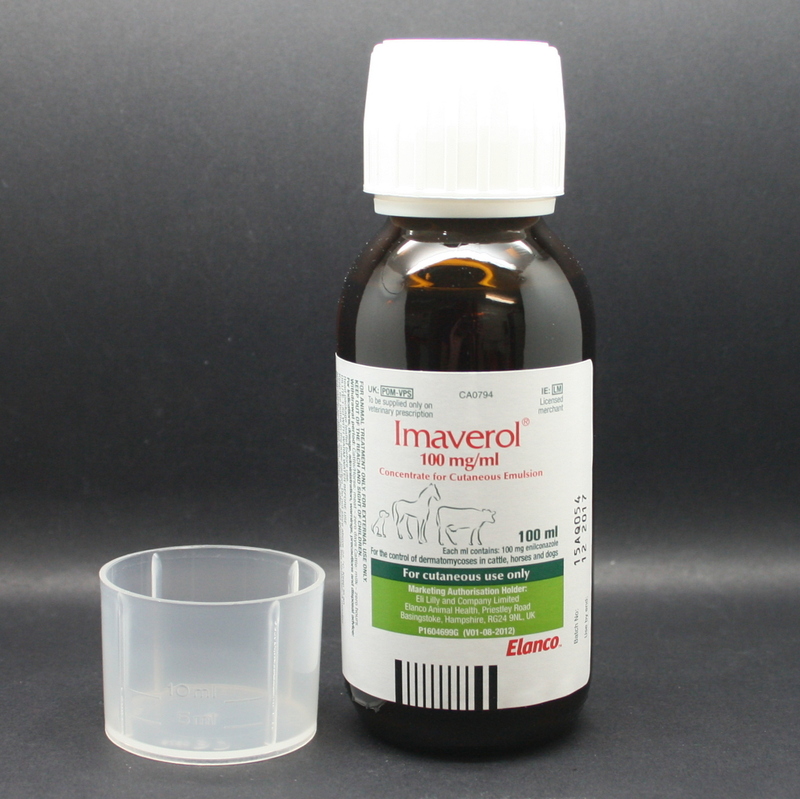 Imaverol is a synthetic antimycotic. It is indicated for the treatment of the following pathogenic fungi: Trichophyton verrucosum; Trichophyton mentagrophytes; Trichophyton equinum; Microsporum canis; Microsporum gypseum. 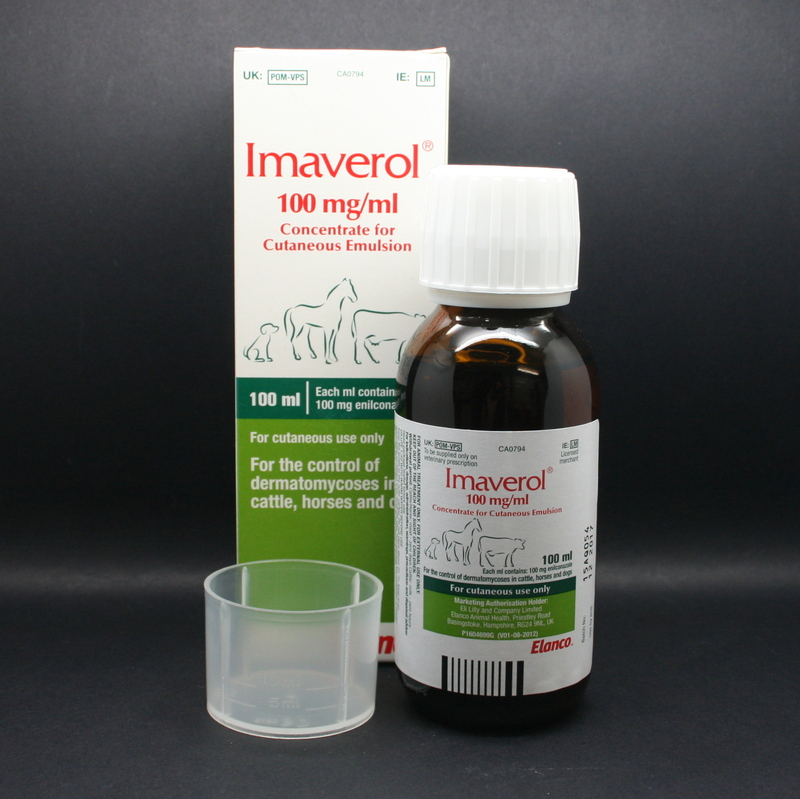 Dosage & administration- The concentrated Imaverol solution should be diluted with one part imaverol to 50 parts warm water. Crusts should be removed with a hard brush that has been soaked in the dilute Imaverol emulsion, as dermatophytes (ringworm), can live in the hair follicles. In horses, the skin lesions & surrounding area should be washed with the diluted emulsion at 3 day intervals, for a total of 4 times. On the first treatment, the entire animal should be sprayed, so that even lesions that haven't fully developed yet, still get treated. Warnings and Contraindications: Whilst handling the product, wear safety glasses & impermeable rubber gloves. If accidental exposure occurs, rinse thoroughly immediately.